Creating a minimal WordPress custom theme is simple. 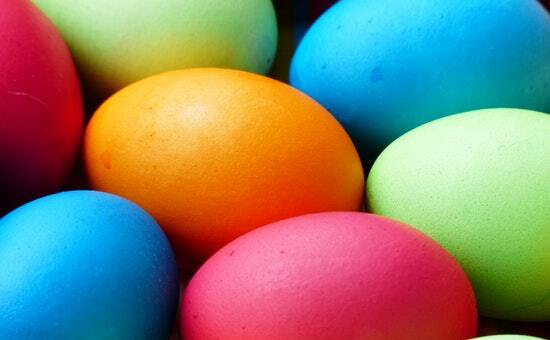 In this tutorial let us walk through the steps to create a WordPress theme. Create WordPress theme-specific files like header, footer, and stylesheets. Add styles to the new theme. Before starting with these steps, it is better to have a local setup of WordPress. For a minimal WordPress theme, the following files will be sufficient. header.php – to add a title, client-side script, styles and etc. footer.php – to add footer menu if any, copyright information, feeds and etc. index.php – home page to post a list of articles. Let us see the above PHP files content for an example. You can use them while creating your own theme. while loop iterates over the array of available posts. WordPress functions the_title() and the_content() prints title and description of a post respectively. the_permalink() function provides a link to the post title. While adding we need to provide Theme information like Theme Name, Theme URI, Version and etc on top of the stylesheet. We have to login in Wordpress admin panel, to select the newly created theme as the current theme of our WordPress blog. And then, we have to go with left panel Appearance->Themes to manage themes. 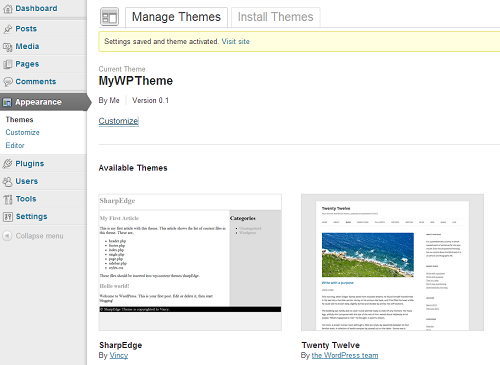 If everything is good, the newly created theme will appear in WordPress admin panel. Click on the Activate link at the bottom of your newly created theme to select it as the current theme. To show the theme snapshot in the admin panel, we need to create theme screenshot and paste it into the wp-content/themes folder.